The union representing hourly workers at Ingersoll Rand's Cheektowaga plant expects by early next month to learn the company's decision on the future of manufacturing at the site. Ingersoll Rand last Tuesday announced its "intent" to end manufacturing at the Broadway facility by July, affecting about 300 workers. But the company left open the possibility of continuing production there. Representatives of the International Association of Machinists and Aerospace Workers met last Thursday with company officials "to determine the impact on our members, their families and the community," said Peter Cooney, assistant directing business representative with Machinists Union Local 330, District 65. "While company representatives made a presentation, no information or details regarding a plan to move forward were presented," Cooney said. Both parties agreed to meet Feb. 4 and 5, with the company indicating it will have a decision by that time, he said. Misty Zelent, an Ingersoll Rand spokeswoman, said Monday the company has not yet made a decision, and is "still in the process, including discussions with the union." 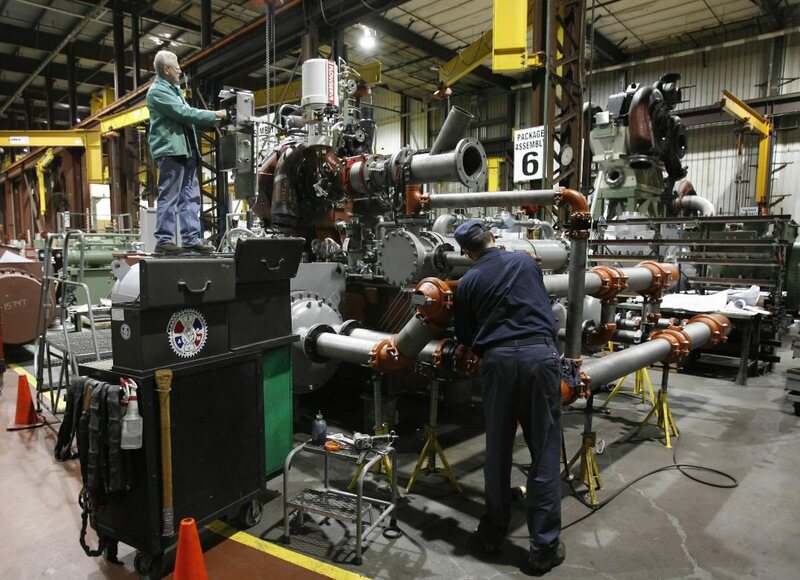 The Broadway plant makes air and gas compressors for applications including industrial plants. Ingersoll Rand acquired the operation in 2015. Cooney said Ingersoll Rand's announcement last week "came without warning and provided no details, only stating that it is their 'intent' to end manufacturing operations here." Ingersoll Rand has said even if manufacturing is eliminated at the Broadway plant, the company would maintain a technology center, with about 150 employees, at the site. A host of elected officials have called on Ingersoll Rand to retain manufacturing operations at the Broadway plant. The union contract at the plant is scheduled to expire Aug. 5.